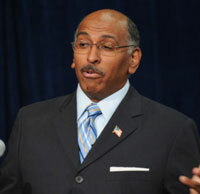 Obama Should Not Be Criticized for Lobbying for the Olympics to Be in the U.S.
HomeBusinessObama Should Not Be Criticized for Lobbying for the Olympics to Be in the U.S.
That’s why it’s important to remember that GOP Chairman Michael Steele’s job is to be a political hack. He will criticize Obama no matter what he does on this..or any other…issue. If the president didn’t go to Copenhagen to push for the Olympic Games being in the U.S., Steele’s criticism would have been that Obama was not willing to stand up for America, especially if other national leaders lobbied in person for the games and they were not awarded to Chicago. If Obama goes, Steele criticizes him for spending time on something he calls trivial. The Olympic games are not tivial and they don’t always lose money (Anyone else remember the LA games which, with Peter Uberroth at the helm, actually made money?). And national pride rather than the bottom line is the most powerful incentive for many, perhaps event most people. 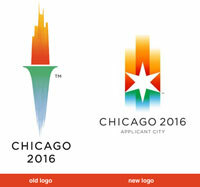 The games aren’t being being pushed on Chicago; the city fervently wants them. The American media prefers the Olympics occur in the U.S. because the live coverage will be based on central time and the ratings will be much higher. U.S. athletes prefer that they be here as well so that there’s less travel time and they’ll compete with a home field advantage. To me that makes this not just an appropriate but a logical job for the president that is at least as important as any photo op he might otherwise have at the White House that day. How can this president, any president, or any world leader be faulted for pushing for an event of this magnitude to take place in her or his country? 1 Comment on Obama Should Not Be Criticized for Lobbying for the Olympics to Be in the U.S. This is a perfect opportunity for Europe to now snub and embarrass Obama. Paybacks are hell, huh?